The majority of aging adults say they want to stay in their current home as long as possible. Age in place means being able to do just that. 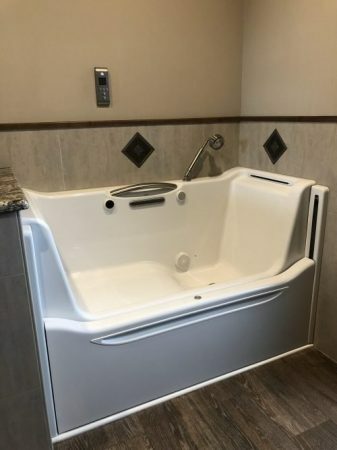 We can help you make long-term bathroom updates by installing grab bars, curbless showers, and other specialized features. Prepare your home for extended living by installing plumbing fixtures designed for safety and ease-of-use. 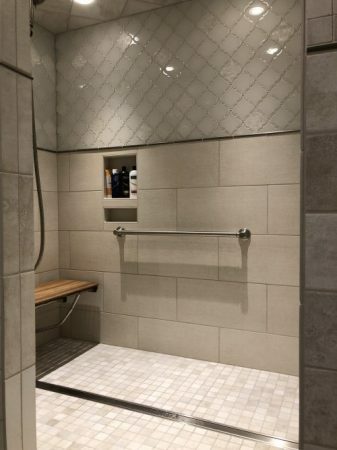 With the cost of assisted living facilities on the rise and the recent closure of retirement homes an intelligent update to your bathroom might be a necessity more so than a luxury. If you are like 90% of adults over age 65, you probably want to stay in your current residence as long as possible. But can your current accommodations meet the physical needs of aging adults? Does it have the design features necessary to keep you or your loved ones safe? By making some intelligent changes now, you can help ensure that the loved ones in your life will have the luxury of aging in place. 40% of Baby Boomer homeowners plan to remodel at some point so it makes sense to incorporate age friendly updates earlier than needed to save time and money in the future. Why Are Many Bathrooms Unsafe for Aging Adults? Most homes today were built with the average, healthy family in mind. They were not designed to accommodate individuals with limited mobility, strength, and balance. 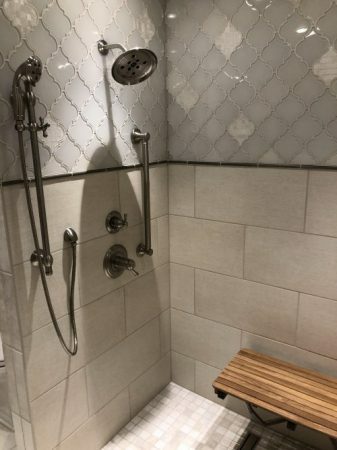 Normal features in everyday households, such as lack of balance support in the shower, are potential hazards to an elderly person. Without grab bars and other slip-resistant elements, the risk of suffering a serious fall rises significantly. Falls are the leading cause of potential life threatening injuries among older adults and therefore the greatest issue to their ability to age in place. We can prevent these dangers by remodeling your bathroom with Universal Design features in mind. Universal Design means creating environments that are easy for everyone to use—regardless of age, size, or mobility. Homes retrofitted with the Universal Design model are far more accommodating to the needs of aging adults with limited strength, flexibility, and balance. 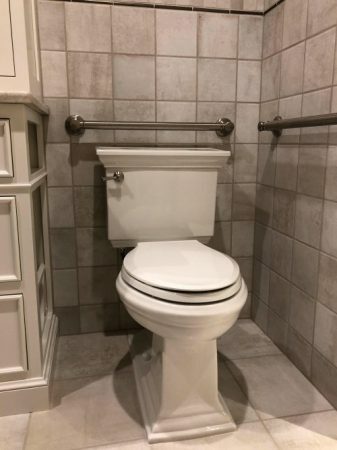 Universal Design features help ensure that everything in your home is accessible to all family members, with or without physical limitations.